Air pollution is recognized as causal factor for cardiovascular disease (CVD) and is associated with multiple CVD risk factors. Substantial research effort has been invested in understanding the linkages between genetic variation and CVD risk, resulting in over 50 CVD-associated genetic loci. More recently, gene–air pollution interaction studies have quantified the contribution of genetic variation to inter-individual heterogeneity in air pollution health risks, and aided in elucidating mechanisms of air pollution exposure health risks. Here, we perform a comprehensive review of gene–air pollution interaction studies for CVD, as well as risk factors and emerging CVD biomarkers. 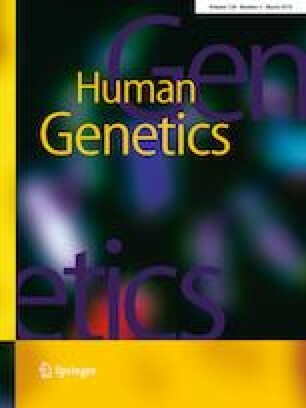 The literature review revealed that most published interaction studies have been candidate gene studies, causing observed interactions to cluster in a few genes related to detoxification (GSTM1 and GSTT1), inflammation (IL-6), iron processing (HFE), and microRNA processing (GEMIN4 and DGCR8). There have been a few genome-wide interaction studies with results indicating that interactions extend beyond commonly considered genetic loci. Gene–air pollution interactions are observed for exposure periods ranging from hours to years and a variety of air pollutants including particulate matter, gaseous pollutants, and pollutant sources such as traffic. Though the existing evidence for the existence of relevant gene–air pollution interactions for CVD outcomes is substantial, it could be strengthened by improved replication and meta-analyses as well as functional validation. Special thanks are given to the staff of the US EPA Library for their assistance in the literature review, in particular, Jeremy Frye for his effort. There are no conflicts of interest to disclose. The views expressed in this manuscript do not necessarily represent the views or policies of the US Environmental Protection Agency. Any mention of trade names does not constitute endorsement.